Anyone know what this fungus is called. The best name my daughter came up with is Lion's Whiskers. Photo taken on Donnelly's Flat Loop Track Queens Birthday. fruitbat Another good website for fungi identification is 'Wecome to the Kaimai Bush'. 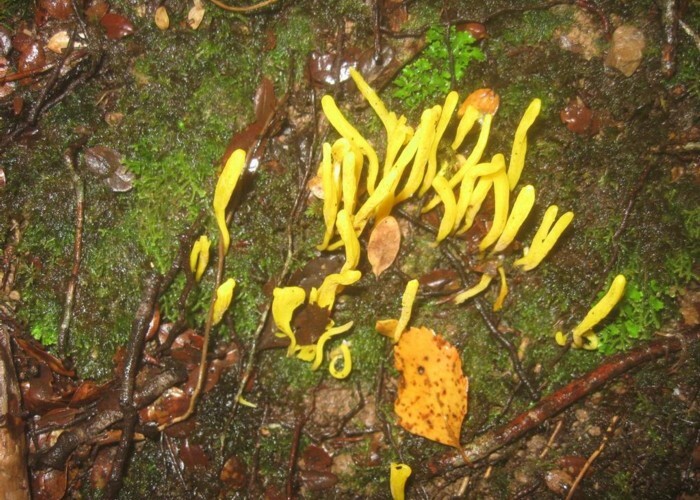 nzbazza Thanks to hiddenforest.co.nz, our best guess is Clavulinopsis spiralis. Added 6 July 2011 by nzbazzanzbazza. No revisions. 285 views in the past year (24 per month).